Viking offers members a range of courses for all ability levels. We also welcome non-members and run beginners courses on a regular basis subject to demand. Available courses are at the bottom of this page. Please direct all course enquiries to: courses@vikingkayak.co.uk. You don’t need any previous experience to take your Start Award, just the desire for fun! You can take the award in any craft, from kayaks, canoes and SUPs. You don’t need any previous experience to take your Discover Award, just the desire for fun and learning! You can take the award from any craft, from kayaks, canoes or SUPs. Each of the 12 disciplines have 3 levels of awards. The 12 Disciplines are: White Water, Canoeing, Surf Kayak, Sea Kayak, Touring, Stand Up Paddleboard, Freestyle, Rafting, Polo, Racing, Slalom, Wild Water Racing. British Canoeing FSRT – Foundation Safety and Rescue Training – How to save yourself and others. Learn the key safety and rescue skills required to operate safely in a sheltered water environment and to be able to deal with common emergencies. British Canoeing AFA – Aquatic First Aid – first-aid and lifesaving skills in an aquatic environment, with particular attention paid to the situations paddlers are most likely to see. British Canoeing WWSR – The White Water Safety and Rescue Training course is designed for all paddlers operating in a moderate to advanced white water environment in either kayak or canoe, and is required for those seeking their leader award. Why not give back some of the skills and fun you have had! Learn to teach Canoeing and Kayaking. These courses will run when required. Contact courses@vikingkayak.co.uk for more information. Note some of the dates below may not be the first date of the course and the course may already be in progress. Please click on the date to find out more. Come along to have a go at kayaking and canoeing. £5 for 30 minutes. Minimum age 8 years old. Beginner Kayak Course, ‘Discover’ Award. 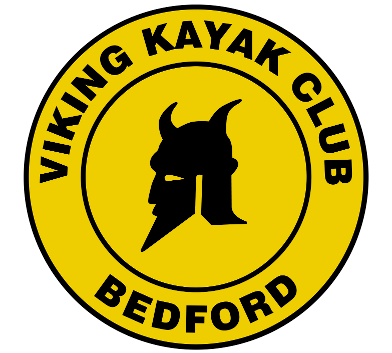 9am until 5pm, at Viking Kayak Club in Bedford. Experience your first session on the water; learning useful skills for an enjoyable and fun paddling experience. The course aims to provide you with the basic knowledge to enable you to safely get in and out of your boat, make it move and return to your start point. Then your Paddle ‘Discover ‘Award allows you to develop your decision-making and practical skills, taking you on the next steps towards becoming a proficient and independent paddler. Learn how to choose and effectively use equipment, whilst developing an understanding of the factors, which affect your paddling. Price for VKC Members £50, (or equivalent discount off VKC membership fees if you join during or imediately after the course). Candidates should be water confident and must be able to swim. If under 14 years, the ‘PaddlePower’ youth programme may be more appropriate. (Please see VKC calendar for PaddlePower youth courses planned). PaddlePower ‘Discover’ Award – suitable for youths (8 – 14 years), beginners or those who have previous paddling experience. Club equipment will be available for use. Candidates should be water confident and must be able to swim.